Welcome to Completely Kentucky . . . .a store to explore. Located in a carefully restored 150 year old building, we are proud to offer the work of over 650 of Kentucky’s best artisans. We buy directly from small family businesses many of whom follow generations of family traditions in their craft. We scour the state looking for . . . well, we look for things you can’t get just anywhere. Choose from our huge selection of fine crafts and gourmet foods. Everything is made by Kentucky's finest cooks, artisans, and craftspersons. From traditional to contemporary, functional to decorative, fine art to funny, you will find it at Completely Kentucky. Need something different? When you want to give a remarkable gift, we’re here. Everything we sell is hand made in Kentucky, unique and crafted with care. Gift wrapping is always free and we'll include a gift card with your personal message and ship or deliver your purchase. Just let us know how we can help. 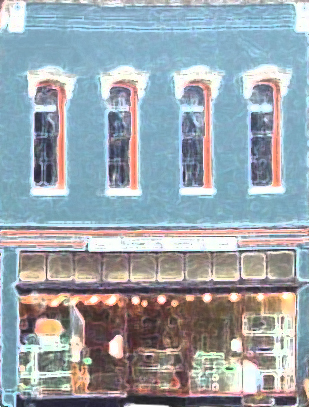 Visit us in downtown Frankfort or shop by phone, fax, email or here on our web site.